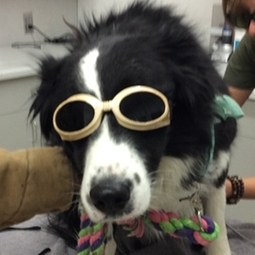 K Laser Therapy - Cloud Peak Veterinary Services, P.C. Laser Therapy, or "photobiomodulation", is the use of specific wavelengths of light (red and near-infrared) to create therapeutic effects. These effects include improve healing time, pain reduction, increased circulation and decreased swelling. Laser Therapy has been widely utilized in Europe by physical therapists, nurses and doctors as far back as the 1970's. Now, after FDA clearance in 2002, Laser Therapy is being used extensively in the United States.